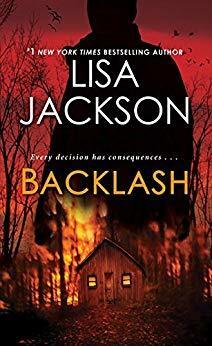 Lisa Jackson is the number-one New York Times bestselling author of more than 85 novels, including Afraid to Die, Tell Me, You Dont Want to Know, Running Scared, Without Mercy, Malice, and Shiver. She is also the co-author of the Colony Series, co-written with her sister, Nancy Bush. There are over 20 million copies of Lisa Jacksons books in print in twenty languages. With over thirty bestsellers to her name, Lisa Jackson is a master of taking readers to the edge of sanity and back in novels that buzz with dangerous secrets and deadly passions. She continues to be fascinated by the minds and motives of both her killers and their pursuersthe personal, the professional and downright twisted. As she builds the puzzle of relationships, actions, clues, lies and personal histories that haunt her protagonists, she must also confront the fear and terror faced by her victims, and the harsh and enduring truth that, in the real world, terror and madness touch far too many lives and families.